I love pico and I love mango salsa, so I’m not sure why it took so long to come up with the delicious idea to combine the two. This is probably the prettiest salsa I’ve ever made, but I also love the flavor and texture variety that each tomato brings to the table bowl. Cherry tomatoes are sweet, green tomatoes are more tart and firm. I always find myself adding a pinch of sugar to my tomato salsa for balance, but that’s not necessary this time because of the sweet juicy mango. In a medium bowl, combine the heirloom tomatoes, mango, garlic, lime, cilantro, red onion and serrano, if using. Stir in the avocado, if using and season with salt and pepper to taste. 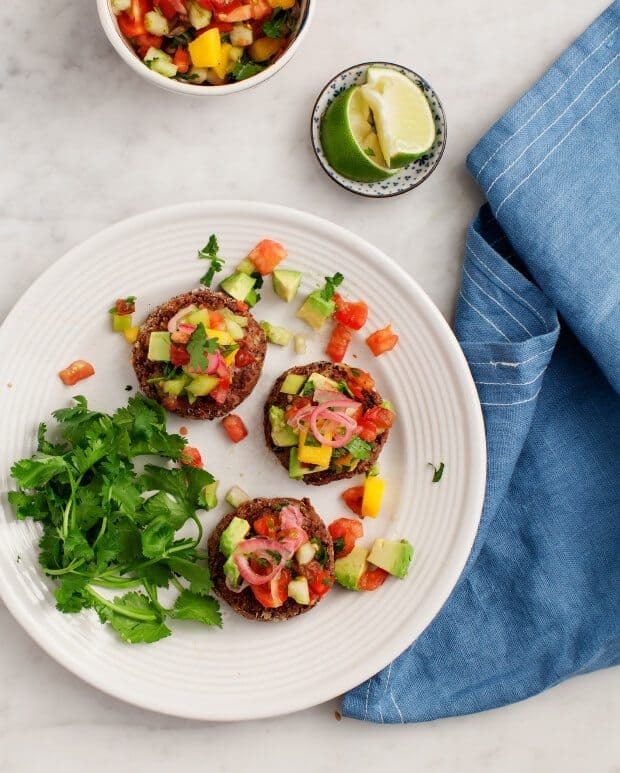 Chill until ready to use.Serve by itself with chips, scoop it into tacos, or top it onto the black bean patty recipe below. Prepare a baking sheet with parchment paper & preheat the oven to 375 F.
Heat the oil in a medium skillet over medium heat. Add the shallot and a few good pinches of salt and pepper. Turn the heat to low and cook for 3 to 5 or until they’re soft and translucent. Add the garlic and smoked paprika and cook for 30 seconds more. Add the soy sauce or tamari, balsamic vinegar, walnuts, and the first ½ cup of black beans. Stir and cook for another few minutes then turn off the heat. Let cool slightly, then transfer the cooled mixture from the pan to a food processor. Add the flax and the water and pulse until well combined. 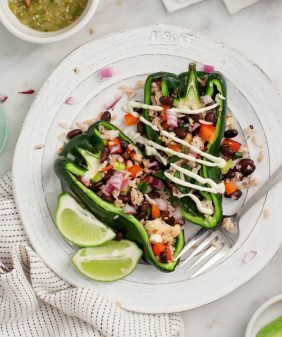 Add the remaining ½ cup of black beans and ½ cup of the quinoa and combine with just a few quick pulses of the food processor. You do not want to puree this mixture. 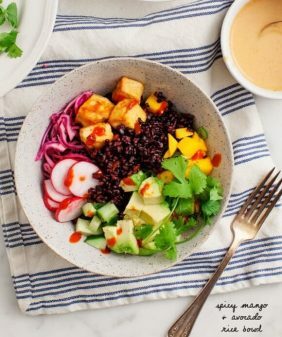 On a large plate, combine the remaining ¼ cup of quinoa with the cornmeal, a pinch of salt and freshly ground pepper, and cayenne, if using. Scoop the black bean mixture out of the food processor and use your hands to gently form six equal size balls. Roll the balls into the quinoa and cornmeal mixture, then gently press into patties. 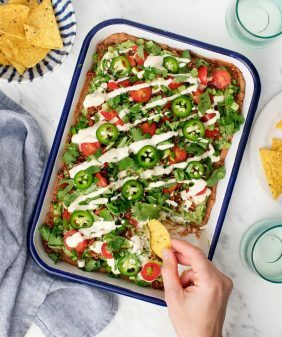 Place onto the baking sheet and chill for 20 minutes. Drizzle each patty with a bit of olive oil and bake for 15 minutes (or until they're firm enough to flip without falling apart). Turn and bake for an additional 10 to 12 minutes, or until the patties are lightly crisp. 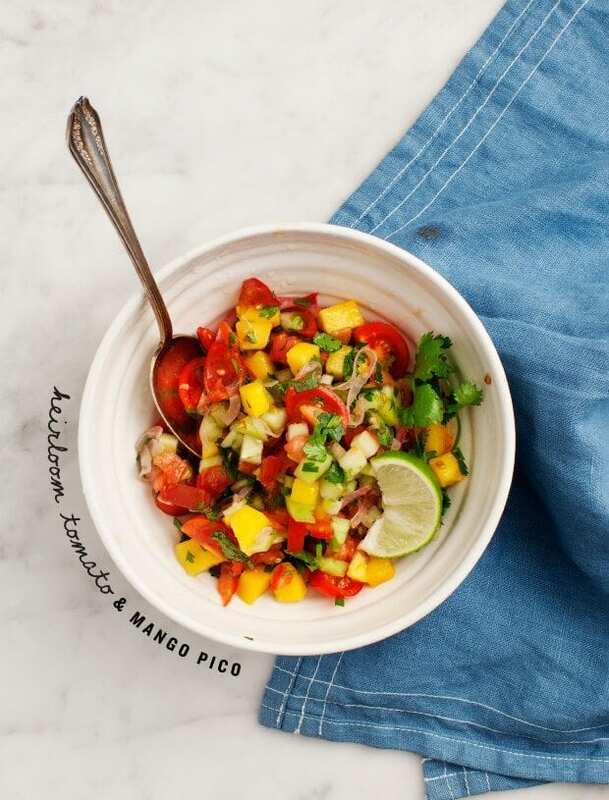 Top with the Heirloom Mango Pico and serve. Fresh mangoes are so delicious and pico de gallo is my favorite type of salsa. 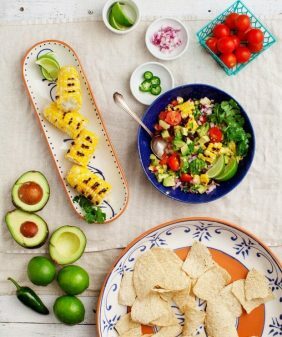 Combining the mango salsa and pico is a wonderful idea and your salsa is lovely! I love the black bean patties, too! 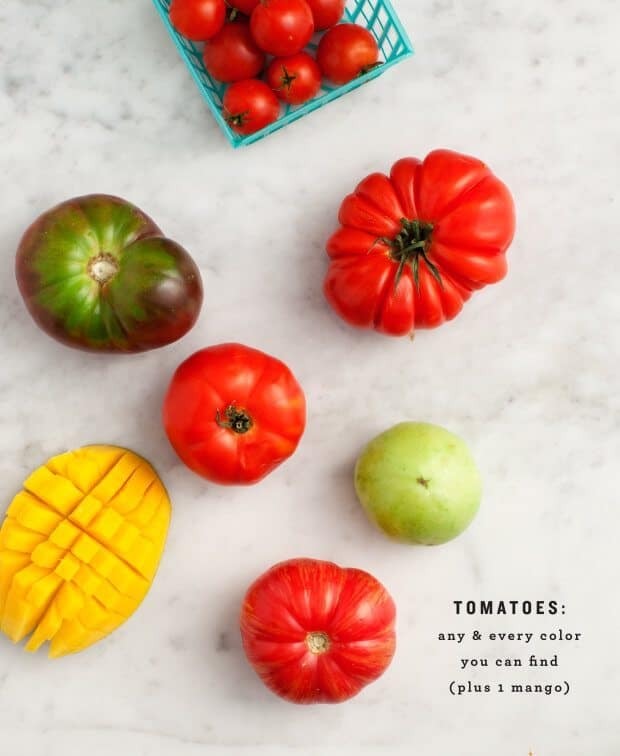 Hey, great idea of combining the two – and for using different varieties of tomatoes! I totally agree each tomato does have its own flavor and texture. This looks amazing!! It will have to be lunch today ;). I am in love with your blog!! 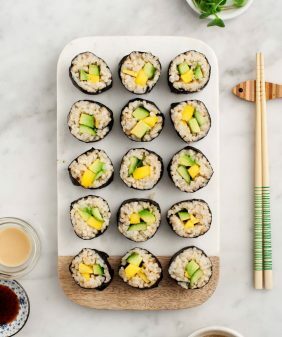 Love the idea of adding the mango to this. 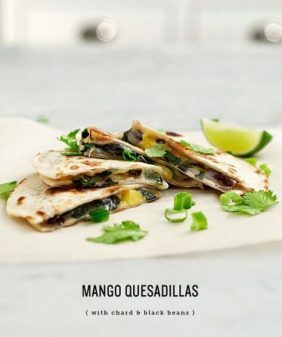 I make a salsa with just mango, shallots and lime juice but this is a great combination. BTW, what do you use to add the text to wrap around the bowl? Thanks. Mango salsa is something else. And then you go adding heirlooms, the king of tomatoes? Total winner, Jeanine! You have a real pretty blog. The pictures are stunning. Can’t wait to try this recipe of yours. Looks so much appetizing. Looking Yummm… so hygienic, but be careful with the trap name Biteclub… they serve stale and spoil food to their customers. Whenever we order food from famous place we hope to get the best services, however sometimes you don’t get what you desire the way you wanted it and sometimes it’s even horrible , and that’s exactly what happen to me when I ordered food from Biteclub using their application. It’s one of the worst services I ever seen in my life. The food was not properly packed , infact oil was drooping all over the floor when I received it. The polythene it came in was covered in oil and I felt disgusted at quality of service I got for the given amount . Even tissues were not provided in the packing when I tried to return the food and complaints about its condition they said once the packing is opened it wasn’t their headache if oil leaks out. Such horrible and bad services are not expected from Biteclub. They are complete crooks.